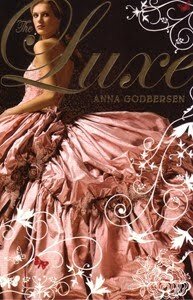 You are cordially invited to step into The Luxe, where the secrets are dark and the sins are delicious . . . This is a really nice, fun read. I wasn't so enthralled that I had to put the rest of my life on hold just to find out what happened in the end. Instead, I pulled this book out whenever I was on the bus or had an hour to spare between uni classes. I liked it because the chapters flick between characters and you don't feel like you have to rush to the end. I also liked how the end of the book was the first chapter. It had me trying to guess how the characters had managed to get themselves into that situation in the first place. There are enough twists and turns that the story was easy to follow but so that I never did entirely guess the ending. I don't have a favourite character. I think because the book switches between four people you don't ever really become attached to just one. Normally this would be a down fall, but this time I found it comforting. Like I said before it is a fun read, conveniently detachable so that you can read for an hour to two and put the rest away for another rainy day.